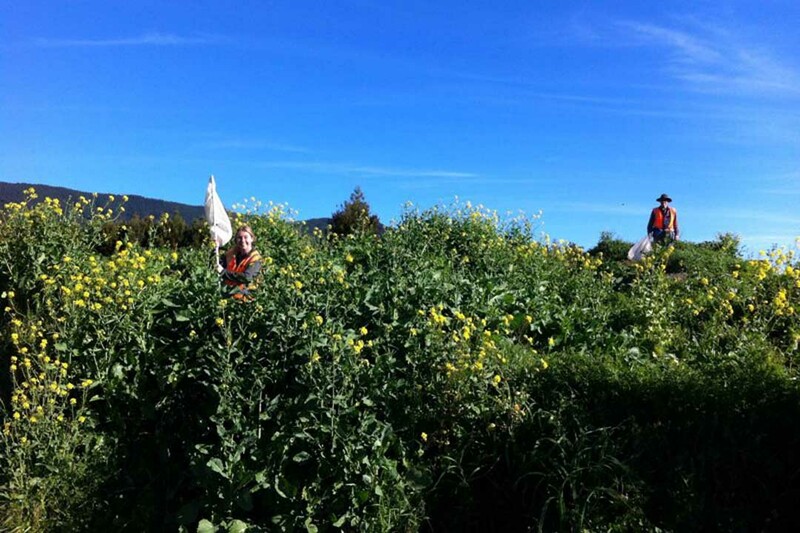 The battle against the great white butterfly pest appears to be working with detections dropping by more than fifty percent in autumn this year, compared to autumn last year. 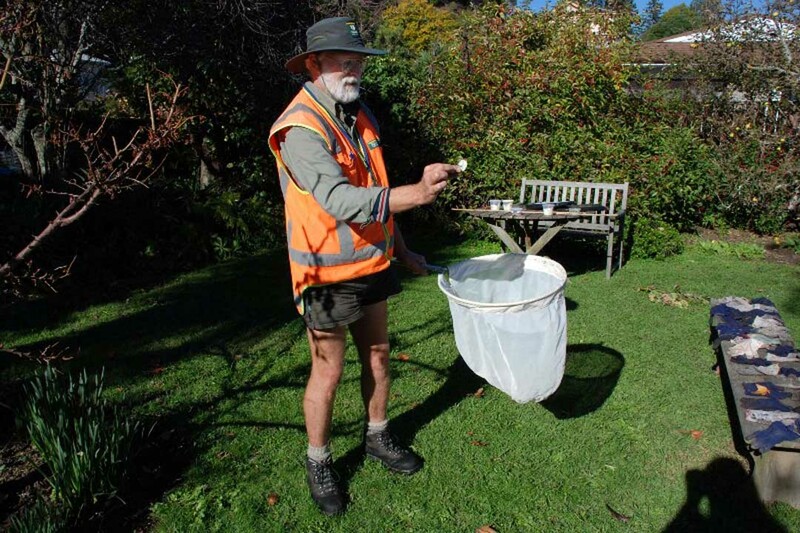 The species is only found in the Nelson/Tasman region and DOC has been leading a programme to eradicate the pest out of concern for the threat it poses to our endangered native cresses. Successful eradication of the butterfly would be a world-first. The Nelson eradication team’s drive and determination will be a key factor in achieving that success. 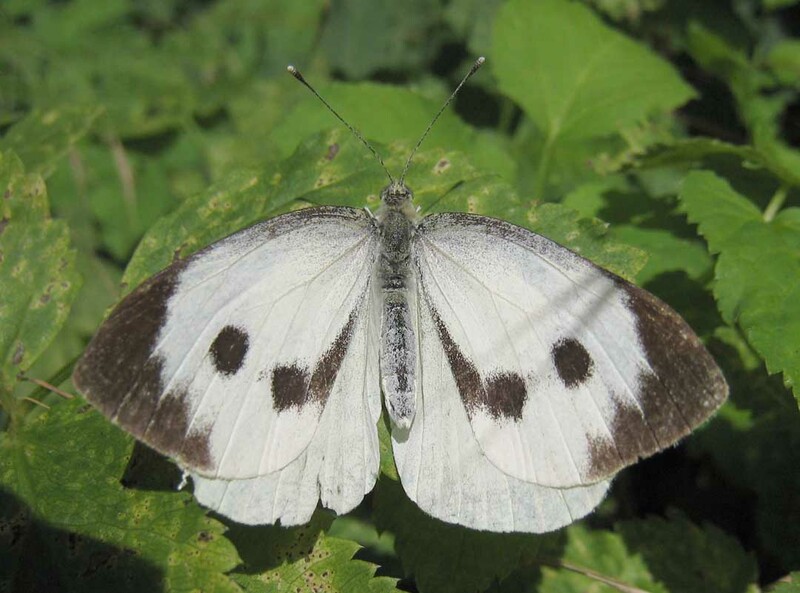 An example of that determination was on display recently when four of the team armed with nets chased a darting biggish white butterfly through at least five properties, across the road, and up and down hills, determined not to let it escape their clutches. Finally Ranger Maddie netted it. It proved to be an important catch: a female great white butterfly full of eggs that could have set up a new infestation in an area where butterfly finds had become few. The team are not the only intrepid butterfly catchers. Team members searched gardens in one area for several days looking for a female butterfly suspected to be in the vicinity. It was duly presented to them dead by an elderly woman who in spite of poor eyesight had managed to trap the butterfly with a glass on the wall of her house. This spring will be a pivotal time when the whole butterfly population emerges together from pupae, giving a good measure of its population status. DOC is working closely with the community to clear this major pest from the region and the country. The Nelson DOC team will be holding a great white butterfly family fun day on Sunday 28 September.